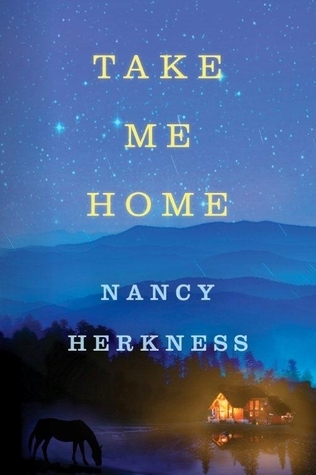 Nancy Herkness invites readers back to Sanctuary, West Virginia, in Book Three of the award-winning Whisper Horse series. Fleeing professional scandal and a broken engagement, veterinarian Hannah Linden abandons Chicago for the mountain town of Sanctuary, West Virginia, hoping to put her troubles with men and the media behind her. But when she encounters world-famous chef Adam Bosch, she finds herself increasingly drawn to the charming but darkly complex man and his troubled teenage son, Matt. Adam, a recovering alcoholic, fears he can never be a worthy father to the surly, distant boy he has just come to know, and enlists Hannah’s help in his struggle to connect with his son. She did it again. 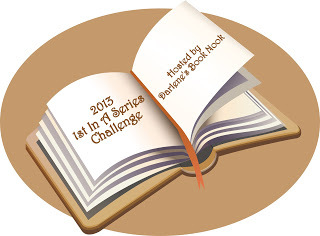 Nancy Herkness continues to write books I quickly find myself lost in. This whole Whisper Horse theme touches me. I wish I had a whisper horse!! All the main characters in this story are broken. Hannah was blamed for something any caring person who have done and the man that is supposed to love her turns his back on her. Adam had a very rough upbringing and his self esteem is lower than low. He tries to escape into his work but knows something is missing. Matt just lost his mother and is sent to his father, a man he doesn’t know at all. Heck Adam didn’t know about him either. 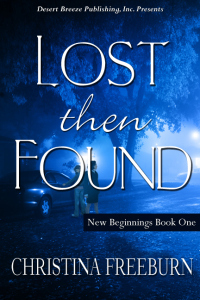 Herkness has written a wonderful story that is more than just a romance, these three people are almost reborn as they are surrounded by the caring community of Sanctuary, West Virginia. Don’t worry, there are a few steamy romantic scenes too. The author paints pictures so easily with her words. I could easily see all three of stories as movies. I love this escape!! 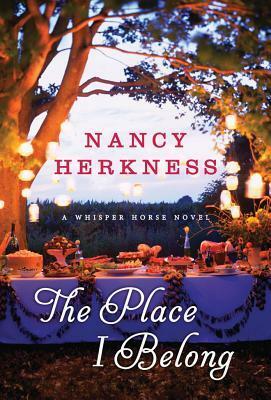 Nancy Herkness’ The Place I Belong (A Whisper Horse Novel) follows Take Me Home , the first in the Whisper Horse series and Country Roads, the second in the series, published by Montlake Romance. Her previous two contemporary romances, A Bridge To Love (Berkley Sensation) and Shower of Stars, were originally published by Berkley Sensation. Music of the Night was her first romantic suspense novel. 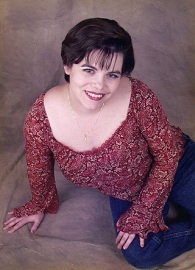 She’s a member of Romance Writers of America, New Jersey Romance Writers and Novelists, Inc., and has won numerous awards for her work, including the Golden Leaf, the Write Touch Readers’ Award and the Aspen Gold. Nancy graduated from Princeton University with a degree in English literature and creative writing. A native of West Virginia, she now lives in New Jersey with her husband and two mismatched dogs. Find out more about Nancy on her webpage here. Julia Castillo knows she is a talented artist. Her work has sold at top prices at several galleries. But her uncle believes her new work is too much of a departure from her previous paintings. He has taken care of her and been her agent since her parents moved overseas. He has tried to protect her from everything the world has to offer, including any negative criticism her work may receive. Julia has made the decision to show her family she can take care of herself. The first step is connect with someone who loves her work and find out if her new work is as good as she thinks it is. She loads up her paintings and heads to a gallery in Sanctuary, West Virginia. Julia is going to find herself tested like she never has before. Will her new work be accepted by the art world? How will a huge black stallion change her life? Will her heart open up to a handsome country lawyer, a man with a whole set of obstacles in his own life? Can she keep an important secret from all the new people in her life? This the second Nancy Herkness story I have lost myself in. Take Me Home was the first. Like that one this was a wonderful story. The groundwork about “whisper horses” was all laid out in that story so this one really took us into Julia’s and Paul’s lives. Julia grew by leaps and bounds in a very short time, beautifully written and perfectly paced by Herkness. Paul’s awakening finally was reached by the end of the book thanks to another character’s wake up call. Julia was driven my several forces including the force of one huge horse who needed her as much as she needed him. Paul was resigned to his life and didn’t see any future of change until Julia entered his life. This is a passionate story of two people finding their way together while keeping promises they made and trying not hurt their families in any way.There are some very steamy scenes between Paul and Julia. Their romance burned up more than a few pages. A extraordinary romance. The author painted lovely and powerful images in my mind. I wish Julia’s work was real so I could see if my thoughts even come close to the real thing. 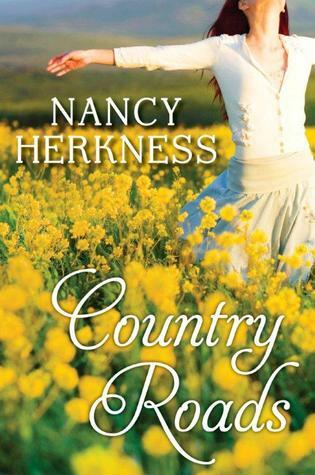 Nancy Herkness’ Country Roads (A Whisper Horse Novel) out September 17, follows Take Me Home the first in the Whisper Horse series published by Montlake Romance. Her previous two contemporary romances, A Bridge To Love (Berkley Sensation) and Shower of Stars, were originally published by Berkley Sensation. Music of the Night was her first romantic suspense novel. When Claire Parker left Sanctuary, West Virginia, she thought it was for good. She never dreamed she would return and be sharing her problems with a “whisper horse”. She has been through an ugly divorce and now is taking care of her ailing sister who is facing some trials of her own. An abused Thoroughbred mare has come to her rescue and they have formed a special bond. She also got to meet the handsome vet who is treating the horse’s wounds. Dr. Tim Arbuckle, was devastated by his wife’s death and is having a hard time opening his heart again. Claire has stirred emotions he thought were deeply buried and the bond gets stronger when her whisper horse falls gravely ill.
What a wonderful story. 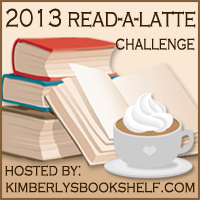 I needed to read a romance I could loose myself in and this one was excellent. Set in the majestic mountains of West Virginia with believable characters in real situations, I truly loved this story. There is a lot happening in this story and I was surprised how quickly I reached the end. It is so well written and perfectly paced. I enjoyed Claire and Tim’s story and I am hoping Holly’s story continues as this is supposed to be a series. The supporting characters are rich and I definitely what more. This book had me wishing for my own whisper horse. What a fantastic idea! I wonder if Willow has friends in the pastures of Wisconsin. This may have been my first experience with this author but it definitely won’t be my last. Nancy Herkness’ current release Take Me Home is the first in the Whisper Horse series published by Montlake Romance. Her previous two contemporary romances, A Bridge To Love (Berkley Sensation) and Shower of Stars, were originally published by Berkley Sensation. Music of the Night was her first romantic suspense novel. Bell Elkins grew up in Acker’s Gap, West Virginia. After a tragic upbringing that includes a fire and the death of her father, she then goes from foster home to foster home. She goes away to college, gets married and has a child. She feels drawn to return to Acker’s Gap to make a difference. Her marriage falls apart and she takes her daughter home to West Virginia. She runs and is elected prosecuting attorney for Raythune County. The county has a serious drug problem and Bell is determined to clean up the county. While Bell is working on another tragic case where a child was killed she learns that 3 elderly men have been gunned down in a local diner. The same diner where her now 17 year old daughter Carla was waiting for her Bell to her up. The eatery was full of witnesses but it happened so fast no one really saw the shooter. Why were Dean Streeter, Shorty McClurg, and Lee Rader targeted? Was it random? Drug related? Carla was shocked and horrified by what she saw, but after a few days, she begins to recover enough to believe that she might be able to help her mother do her job. Bell vows to find and bring the killer to justice not knowing her daughter may already know who he is or that Carla may be putting herself in danger to help her. A Great Debut to a new series!! 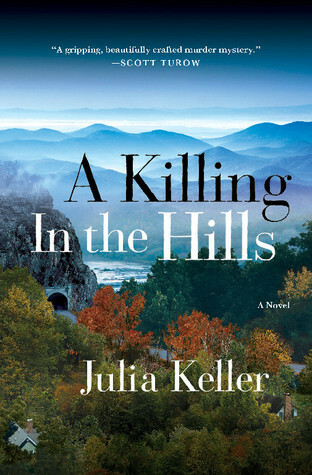 Julie Keller has created some wonderfully flawed characters and set them loose in West Virginia. This first story has more than one mystery for readers to follow and she has woven them together seamlessly. We learn about Belfa’s (yes, that her real name) past and her dysfunctional family that made her the woman she is today. A young boy is killed and Bell has to decide how to move forward charging a mentally challenged 28 year old. Three elderly residents are gunned down by an unknown assailant. Add to that Bell’s teenage daughter going through normal growing pains and then she witnesses this terrible shooting. Bell has a true friend in the sheriff and he is there to walk with her through the mayhem and he does his best to protect her. I love the meetings over pieces of pie as they try to sort out the clues. Last one to arrive buys the pie! Bell has a lot on her plate besides her job a prosecuting attorney for the county. Her sister has just been paroled from prison and her daughter would rather be living with her dad. With this a foundation has been laid for the series moving forward. Bell is a strong woman with a noble agenda that will probably get her in lot of trouble. One of my favorite parts of this story was Bell driving in the mountains to question the mother of the mentally challenged suspect. The author’s description of the winding roads, cliff drop offs, up and down the mountains, made me feel like I was right in the vehicle holding on for dear life. Extra tension was added when she was being followed. It was a white knuckle moment holding on to my kindle as I couldn’t read the pages fast enough. I am looking forward to my return to this “shabby afterthought of a town”. 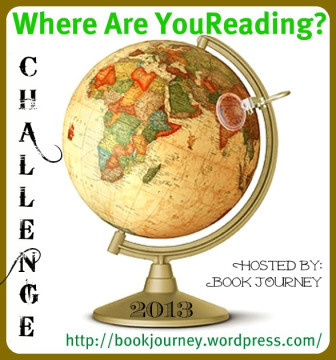 If you are a mystery lover you too will enjoy this story. Julia was born and raised in Huntington, West Virginia. She graduated from Marshall University, then later earned a doctoral degree in English Literature at Ohio State University. She was a Nieman Fellow at Harvard University and has taught at Princeton and Ohio State Universities, and the University of Notre Dame. She is an essayist for The NewsHour with Jim Lehrer on PBS. In 2005, she won the Pulitzer Prize for Feature Writing. Julia lives in a high-rise in Chicago and a stone cottage on a lake in rural Ohio.